Chair for a master ST-6, buy at the price of 80 in Europe. 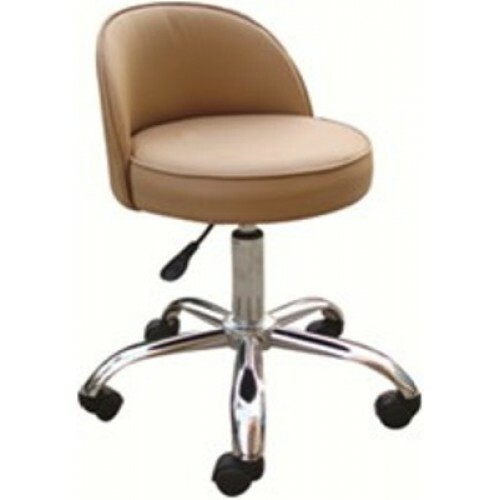 The backrest of the chair is securely fastened to the seat, that provides stability and the maximum comfort during operation. Due to wheels, which are easy to rotate, the master will be able to move quickly and smartly to customers and to the necessary devices, even without leaving the workplace. The chair is made of chrome-plated metal, which ensures reliability and durability of the product. Moreover, you can always adjust the chair height completely by yourself. The chair is easy to care for - to clean it you will need conventional detergents. You can choose your favorite color and use any convenient method for delivery throughout Europe.